It is my belief that my kids who struggle with math do so for four reasons: poor vocabulary, difficulties with reading comprehension, low math reasoning skills, and not knowing their basic math facts! 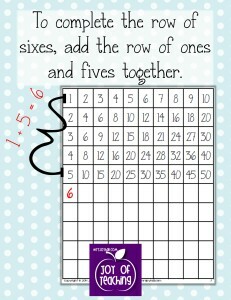 Do you have students who still don’t know their multiplication facts? I sure do and I teach 5th graders! Well, earlier this year I attended a workshop on co-teaching by Sonya Kunkel. 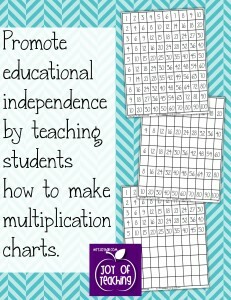 She claimed that teaching kids how to make their own multiplication chart helps increase student test scores and also helps promote educational independence. I must say, I was pleasantly surprised at how easy it is! 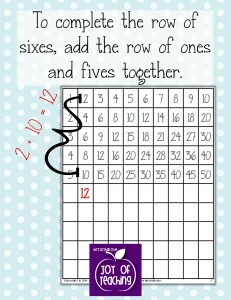 When beginning with a blank grid, have the student complete the first row by counting by ones. To complete the row for the twos, they just double the ones. To complete the threes, they simply add the ones to the twos, and so on. My kiddos need extra practice with pretty much everything, so I quickly whipped up some practice pages for them to do and thought I’d share them with you. Just click on the image below. 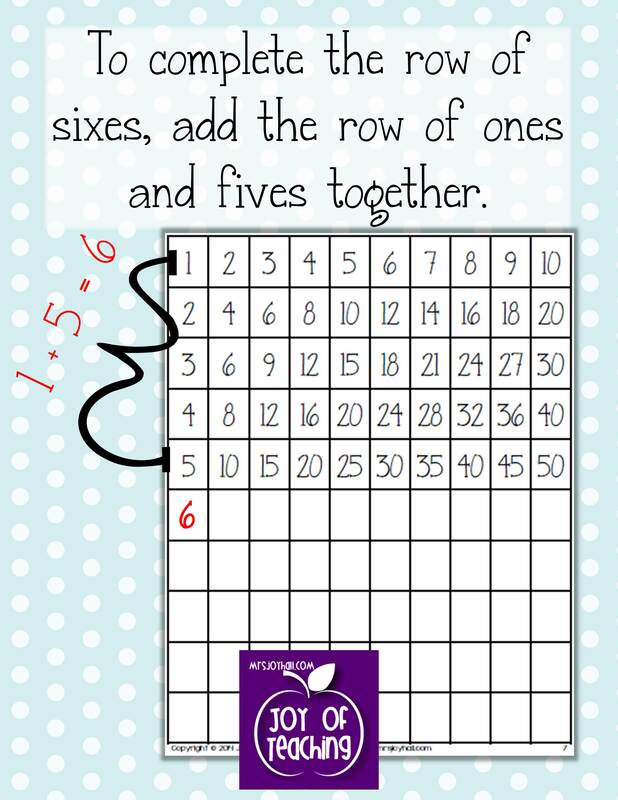 🙂 I’d love to know what tips and tricks you have for teaching multiplication facts. Just leave ’em in the comments below! 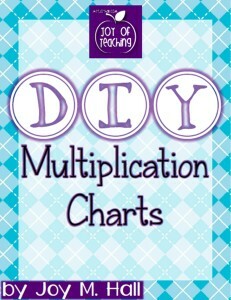 You can find more tips and tricks on my pinterest boards, my facebook page, and my TeachersPayTeachers store.